Is your school prestigious? Or does it attract students based on reputation? Your answer should impact how you market and communicate to different stakeholders. We delve into this topic on episode 52 of FIR on Higher Education. Bertrand Guillotin joined the Fox School of Business on July 1st, 2015. 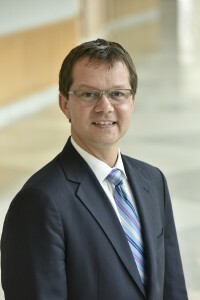 He serves as Assistant Professor and Academic Director of the International Business Administration undergraduate program in the Strategic Management department. He is also very engaged with the Academic of International Business as Chair for the US Northeast Chapter and the Consortium for Undergraduate International Business Education. His research combines international business and strategic management. His recent publications include articles in the European Foundation for Management Development’s Global Focus, the Financial Times (London, UK), Les Echos, a prominent French economic newspaper, and the Thunderbird International Business Review.